Now that all the Sankranthi releases are out finally, the focus has now shifted towards what is coming next. The next week will see yet another big budget film in the form of Singham 3 which will hit the screens on January 26th. Already, the film has been postponed many a time till now. Directed by Hari, Singham 3 is hugely awaited all over Tamil Nadu and both the Telugu states. 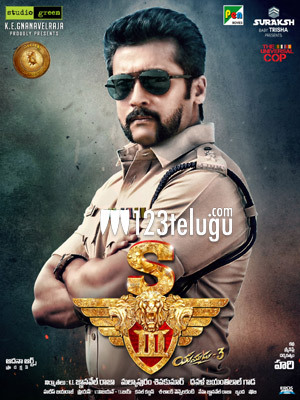 As Suriya is a huge name here, the makers are planning some very good promotions in Telugu as well. Anushka and Shruthi Haasan are paired opposite Suriya in this film which is the third instalment in the Singham series.